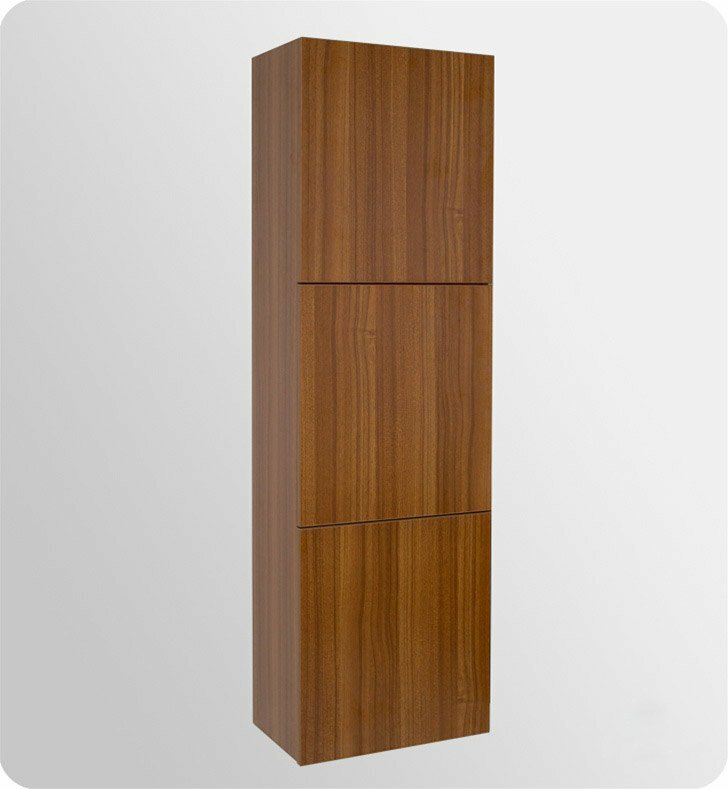 Store your linens in a fashionable and functional way with the Fresca Teak Bathroom Linen Side Cabinet, part FST8090TK. This stylish and sleek bathroom linen side cabinet is W 17 3/4" x D 12" x H 59" in size. It has three large storage areas, making it easy to store those extra towels and toiletries. Place this modern bathroom cabinet near the shower for added ease in accessing a dry towel.